16 minutes. 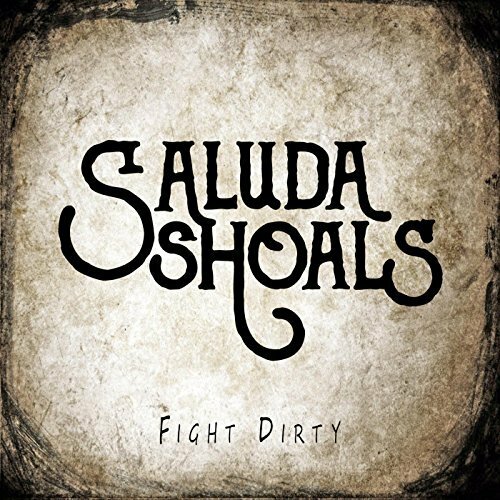 That’s the entire total running length of the five songs that make up Charleston, SC-based country/roots/rock outfit Saluda Shoals’ 2016 EP release Fight Dirty. I think it has sometimes taken me longer than 16 minutes to conquer the shrink wrap packaging on some CDs before getting to hear an artist’s first note. And yet, I have also listened to the entire catalogue of some country-rock bands over multiple albums where I wouldn’t feel able to cobble together 16 minutes of music anywhere near as satisfying as is on this EP. Let’s not get all crazy and say Fight Dirty is a flawless (if ephemeral) masterpiece, but not one of the five songs on here is anywhere close to being a dog. And I think three of them are straight up special and worthy of significantly wider attention. 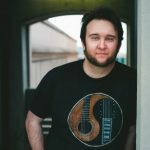 Saluda Shoals began in the Spring of 2015 as a duo of Henri Gates (formerly with Southwood) and Cassie Verhaeghe (formerly with Brushfires) primarily as an acoustic project. That choice makes total sense as their two voices together blend beautifully, but also provide intriguing juxtapositions and points/counterpoints. 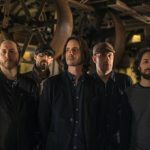 In 2016, Gates (who also plays guitar) and Verhaeghe enlisted fellow Charleston musicians Chase Bartell (guitars), Denis Blyth (bass), and Jonathan Peace (drums) to round Saluda Shoals out into a full-blown (and tirelessly touring) band. And a damn talented one at that – all of which comes through in the EPs production value, balance in the recording levels, and the clean and precise instrumentation. Self-proclaimed fans of Civil Wars, Alabama Shakes, Grace Potter, and Chris Stapleton, Saluda Shoals proves themselves comfortable with more sensitive balladry as well as full-on country-tinged rock and roll. Each of the band members is outstanding, but it’s really the complementary interplay and back and forth between Gates’ and Verhaeghe’s voices that makes this set of songs stand tall. The EP starts with “I Fall,” where Verhaeghe’s voice is a hauntingly perfect and ethereal accompaniment to Gates’ grittier tone – and the result nicely matches the song’s lyrical theme to boot. Their voices sync up and play off each other in precisely the way that makes emotionally charged duets fully believable and compelling. Slightly less impressive are tracks two and four. To be sure, “Second Hand Man” and “Shoot Me Down” are far from shabby efforts – the first could buckle wall laminate with its charging guitar and bass lines if your neighbors would let you play it as loud as it should be played, and the second is a fully competent, if not wholly memorable, mid-tempo twang-filled rocker most bands should be thrilled to have somewhere in their repertoire. It’s just that the other three songs transcend them, and these two songs just don’t seem to have the same emotional core. So that leaves the EP’s closer “Little Moment.” Why this song isn’t a widely known and loved country radio hit staple proves again the amazing talent out there and the unfortunate obstacles facing good band after good band to get the recognition they deserve. Okay, perhaps schmaltz levels and “dancing in the sand/gypsy soul/heart of gold” lyric predictability are slightly higher here in “Little Moment” than on the harder hitting songs – and I think more emotionally stirring –“Fight Dirty” and “I Fall”) – but good God, this song is totally infectious, earnestly and cutely romantic, and I’d definitely want any women I find intriguing to know I think it reminds me of her each time I hear it. Isn’t that exactly what any mainstream Nashville record label should want in a song? I definitely am looking forward to seeing what Saluda Shoals’ next 16 minutes are going to sound like.